N-methyl-N-vinyl acetamide | Polysciences, Inc. Specialty monomer with affinity for water and solvents. Water white liquid has both hydrophobic and hydrophilic character, and is known to undergo polymerization reactions in water or in hydrocarbon solvents with traditional free radical catalysts. Versatility to react with co-monomers such as acrylamide, vinyl acetate and methyl methacrylate allows a wide range of polymeric compositions to be made. Available in convenient protective foil packages for laboratory scale, and in bulk quantities for larger projects. Call for custom quotations on large orders. Limited shelf life in water, decomposes rapidly under low pH conditions. 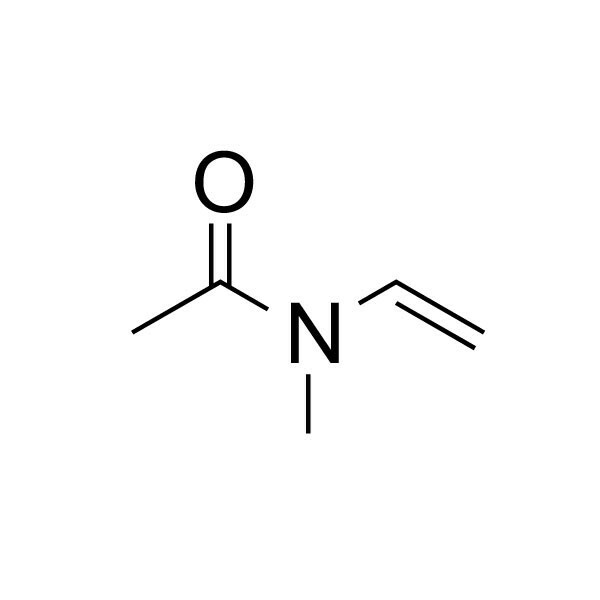 This N-methyl analog of N-vinyl acetamide is also available for specialty polymer applications.